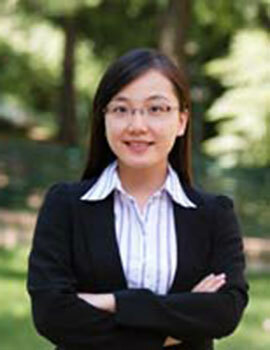 Jing Cai is currently an Assistant Professor in the Department of Agricultural and Resource Economics a the University of Maryland. Her prior position was Assistant Professor of Economics at the University of Michigan. She received her Ph.D. from the University of California at Berkeley in 2012. She is a Research Fellow at the National Bureau of Economic Research (NBER) and an affiliate of the Bureau for Research and Economic Analysis of Development (BREAD) and affiliated Professor at the Jameel Poverty Action Lab (J-PAL). Her research areas are development economics, Chinese economy, and household finance. Her current research examines the diffusion and impacts of financial innovations in developing countries, growth of micro-enterprises and SMEs, and impacts of tax incentives on firm behaviour. Providing much-needed experimental evidence on the impacts of alleviating growth frictions to SMEs, this project evaluates the effects of programs designed to improve access to loans and to expand business networks. This project aims to quantify the cost of the business friction involved when matching with trusted partners.